Elkagorasa the Casual: Oooo! 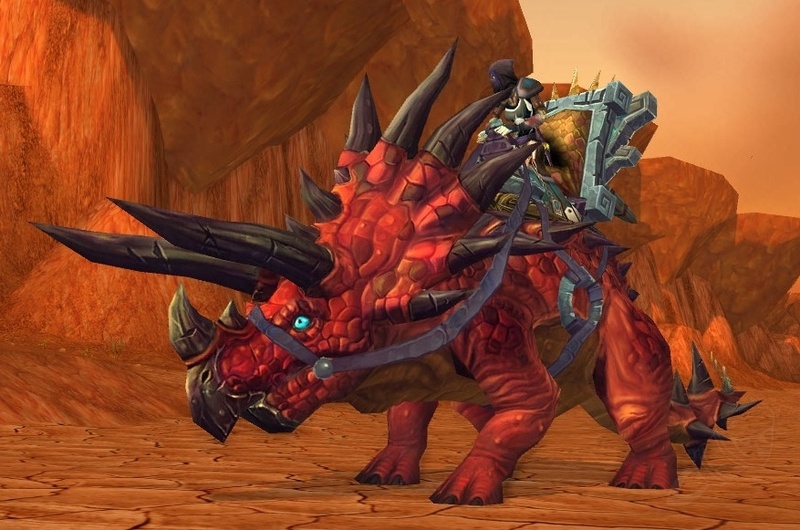 Dino-Mount-A-Licious! Last night after completing my random dungeon, I hit exalted with Sunreaver Onslaught. I didn't think much of it at the time. Today I checked their loot table and saw a few ho-hum things for upgrades, but was really stoked when I saw their mount! Now my troll velociraptor mount has a dino-buddy!